Coral embryos broken in half can turn into ... identical twins! 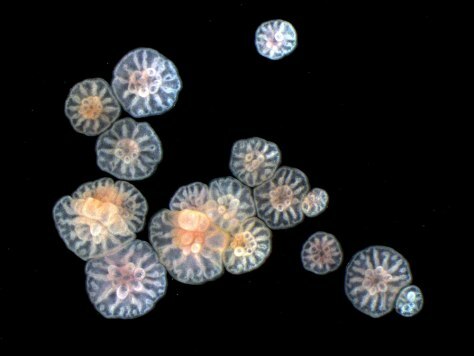 Coral embryos rocked by waves break apart into pieces of varying sizes. These clones develop and settle as coral of varying sizes.